Medina is an A+ student. She is intelligent, wired for academia and gifted in mathematics and science. Medina’s mother has 5 children and makes a living fetching water and washing clothes. It is a challenge to provide for the basic needs of her children and yet she scrapes together whatever is left to send them, sporadically, to school. 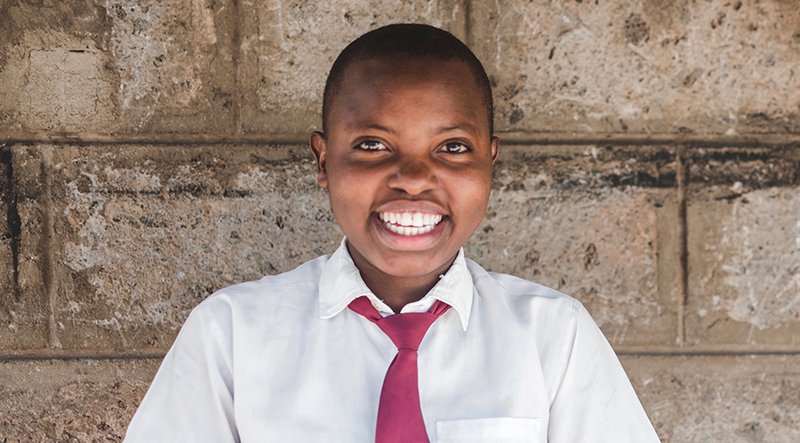 High school costs $500 a year in Kenya; an insurmountable cost on an average annual salary of only $1,000. Without access to education, Medina would likely follow her mother and fetch water and wash clothes for other people for the rest of her life. Medina received a One Girl Can scholarship in 2016 in order to complete her final year of high school without interruption. She continued to excel, and has just won a scholarship to start university in September.